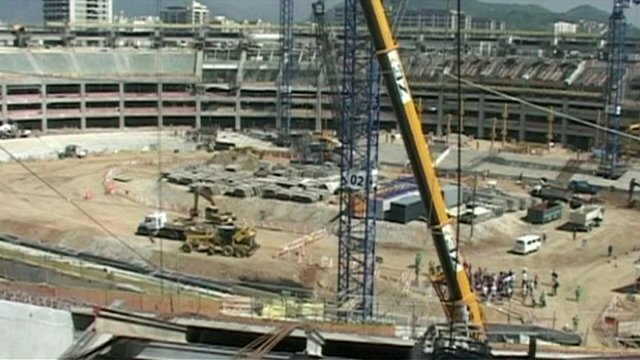 Rio's Maracana stadium facing delays Jump to media player There are concerns in Brazil that the $470m renovation of Rio's Maracana stadium may not be ready in time for the 2013 Confederations Cup. 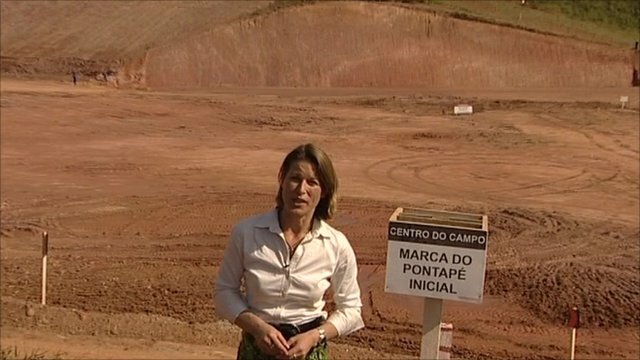 Brazil builds for 2014 World Cup Jump to media player The BBC's economics editor Stephanie Flanders reports from Sao Paulo on preparations for the 2014 World Cup. Will Rio's Maracana stadium be ready for the Confederations Cup? Brazil's famous Maracana stadium in Rio de Janeiro has been undergoing renovation works since August 2010 to get it ready for the country's upcoming high profile sporting events such as the 2014 World Cup and the 2016 Olympic Games. The project is already behind schedule but officials insist fears that it will not be delivered in time for the FIFA Confederations Cup - which kicks off in June 2013 - are unfounded. BBC Mundo's Gerardo Lissardy reports.